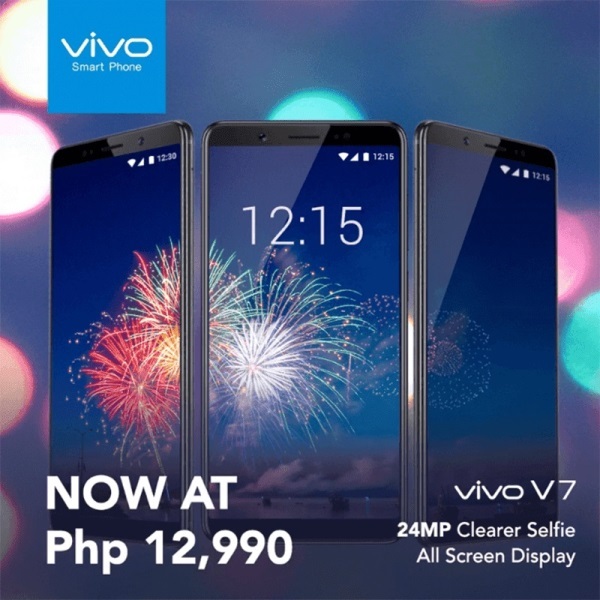 Originally tagged at PhP14,990, Vivo has dropped V7’s price to just PhP12,990! The V7 is the brand’s toned-down model of the V7+. However, Vivo has still managed to pack the V7 with solid specs. It boasts a smaller 5.7-inch IPS capacitive HD+ touchscreen that has 1440 x 720 resolution, giving users an 18:9 FullView display. It is powered by Qualcomm Snapdragon 450 octa-core processor that is clocked at 1.8GHz, and is paired with Adreno 506 GPU. It has 4GB of RAM and 32GB of internal storage that is expandable up to 256GB via microSD card, as well. Supposedly a “downgrade,” the V7 shares the same camera set-up with the V7+. It is equipped with 16-megapixel rear camera and 24-megapixel front shooter. As a camera-centric smartphone, it comes with camera features, including HDR, Portrait, Live Photo, 64MP Ultra HD, PPT, Professional, Slow, Time-lapse, Panorama, Face Beauty 7.0, and various filters.